Classic 7 mm. 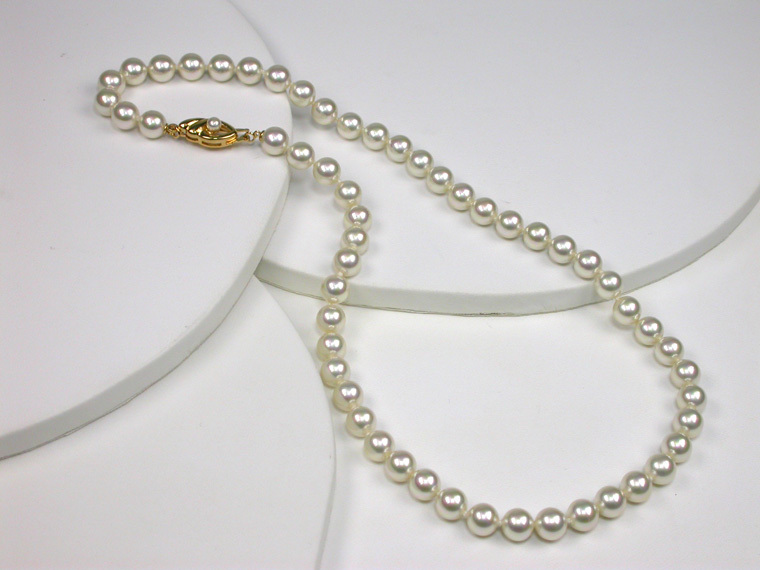 pearls Necklace, 45 cm.long and with clasp in 18 karat Goldplated Sterling Silver. Eternal elegance! 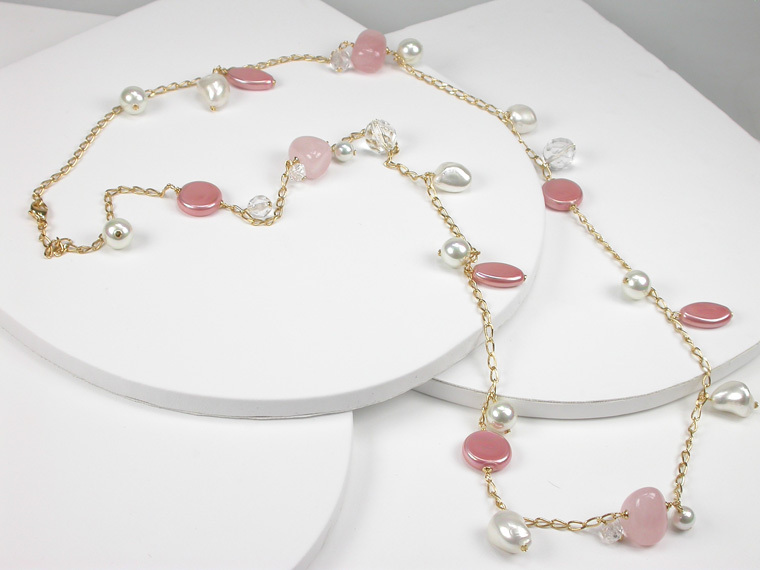 Fantasy Necklace with White and Rose Pearls linked together with Rose Quartz and fine Crystals on a 18 karat Goldplated Sterling Silver chain. 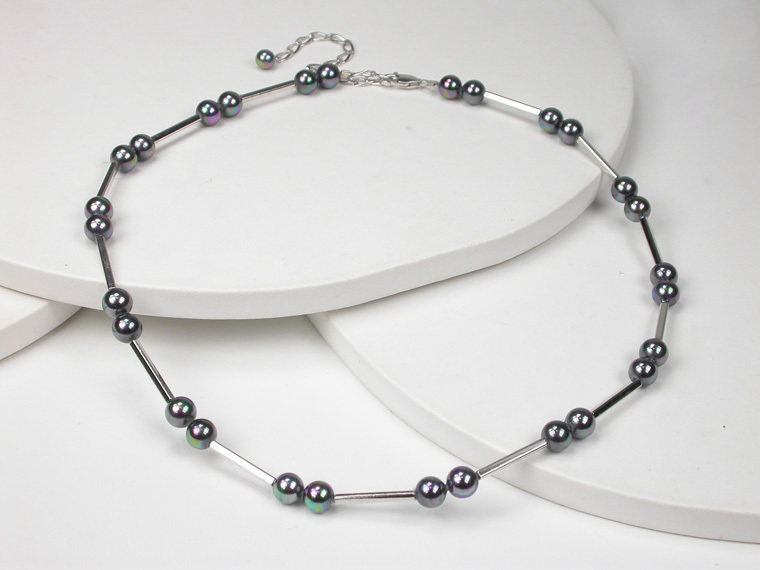 Sterling silver necklace with 12 mm. 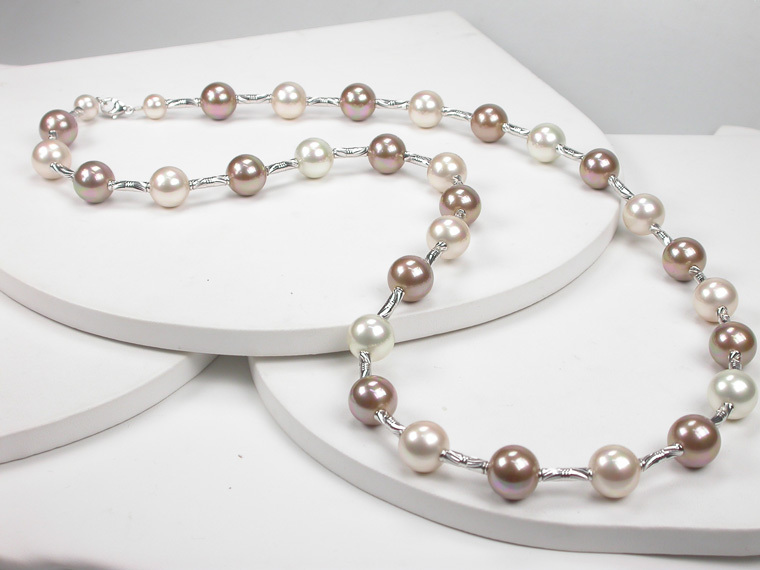 pearls in white, pink and copper. 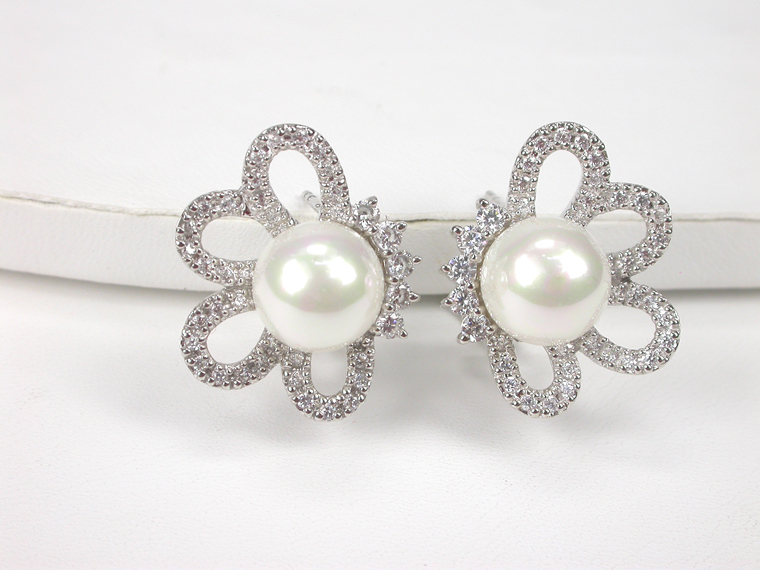 A delicate combination of Pearls in soft tones and exquisitely crafted Silver tubes, making it beautiful as well as versatile. The length is 70 cm. 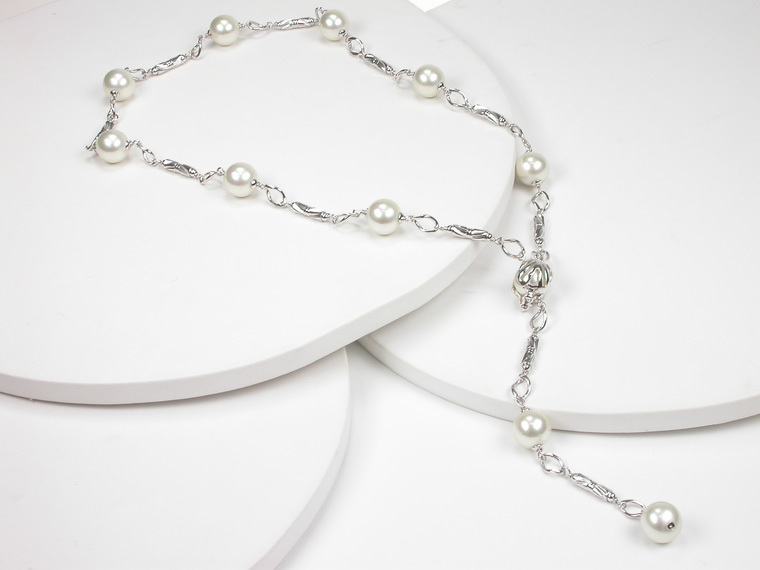 Highlight your feminine elegance with this spectacular necklace of pearls "Mother of Pearl" subtly linked together by Sterling silver rings. 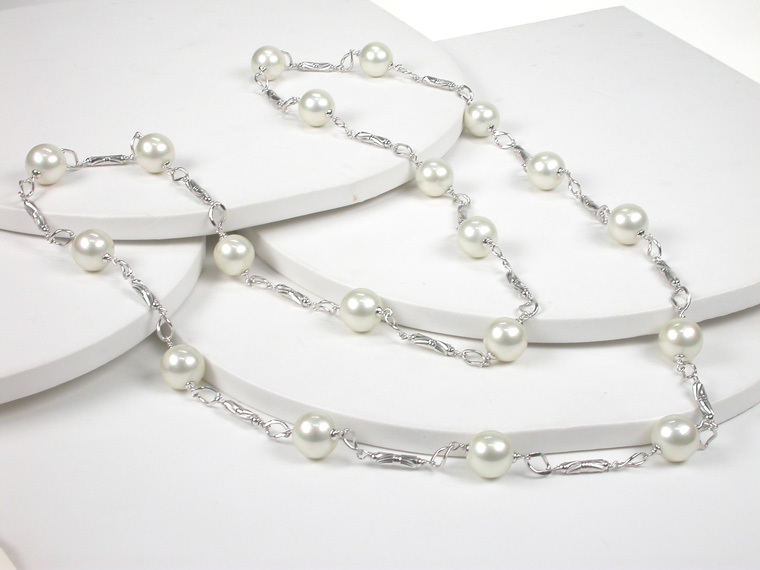 The clasp with chain, allows you to adjust the length from 40 to 48 cm. to make it perfectly fit your neck. A wonderful 45 cm. 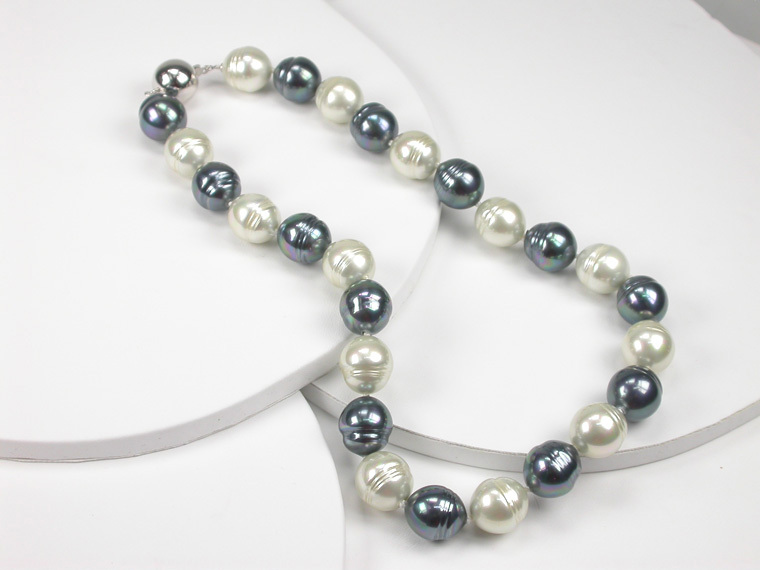 long Necklace combining Black&White 16 mm Barroque Pearls. 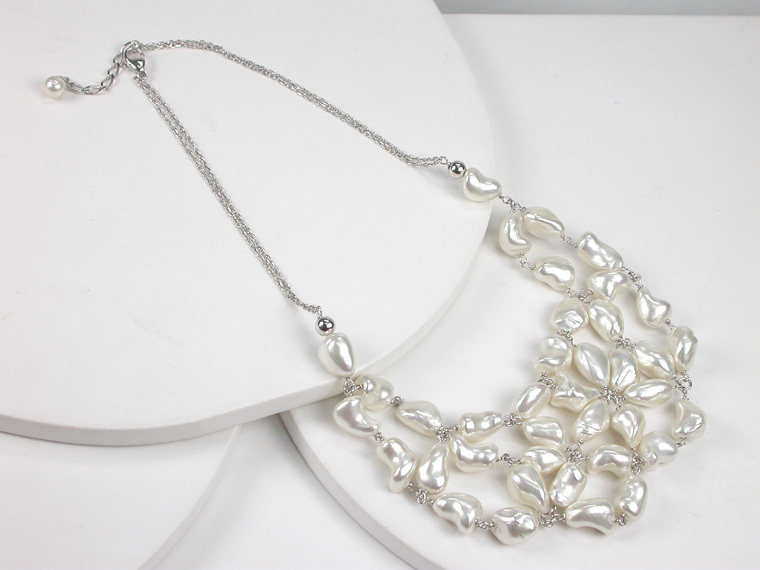 A Classic that will always be Fashion and the right thing to wear! 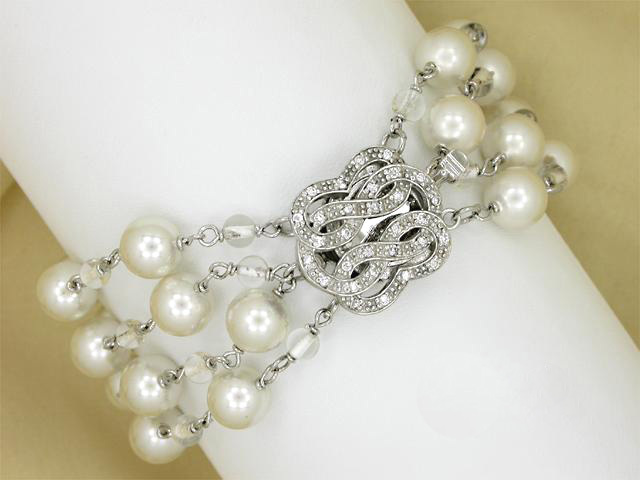 Beautiful Neckalace with a claspo that permits you to change the length depending on the ocasion. 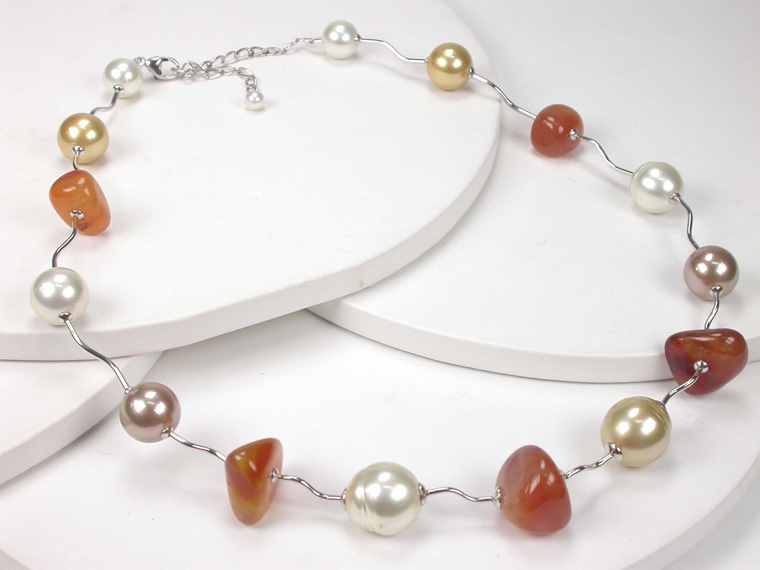 10 mm Majorca Pearls linked together bu Sterlin Silver tubes. The máximum length is 55 cm. The perfect Gift for Her! Lovely 100 cm. 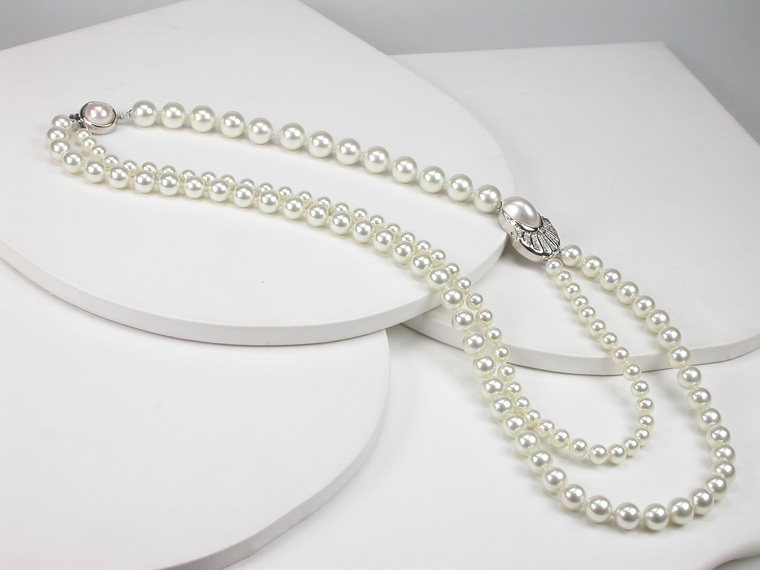 Long Necklace in 12 mm Majorca Pearls linked together by delicate Sterling Silver tubes.